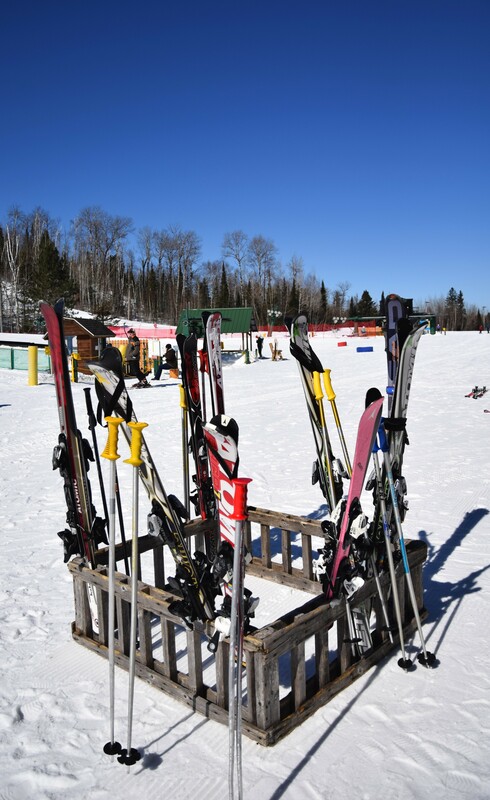 Last weekend I went to Giants Ridge Golf & Ski Resort and I didn’t have any fun . . . just kidding I had so much fun I wrote a story about it for school! But I’m not going to regurgitate that here. On Friday afternoon 40, or so, Canadians met in the parking lot of Great-West Life and started tailgating — as is customary before getting on a bus and driving six and-a-half hours south. It was a beautiful day and ungloved hands were clutching beer cans as far as the eye could see. When the bus arrived everybody piled on and I settled in for a relaxing drive down to Minnesota, I had obviously never been on the Giants Ridge ski trip before. 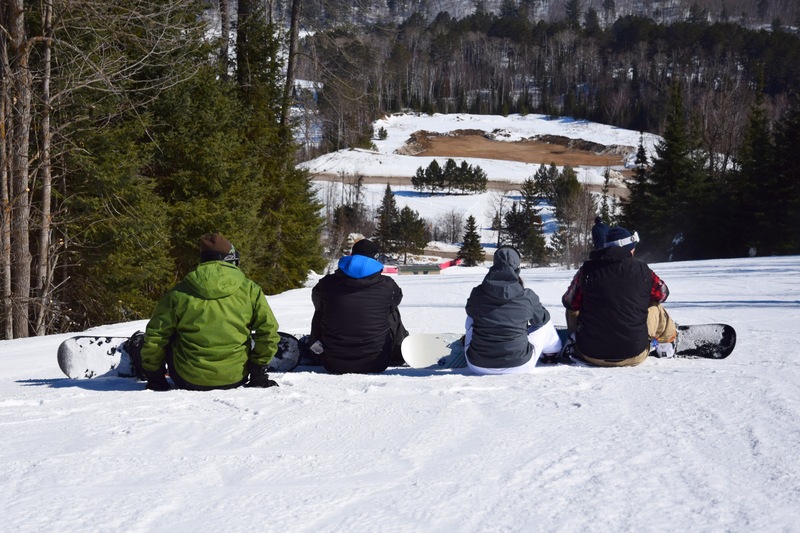 The trip organizers are a trio of brothers who have been going to Giants Ridge for more than 20 years. 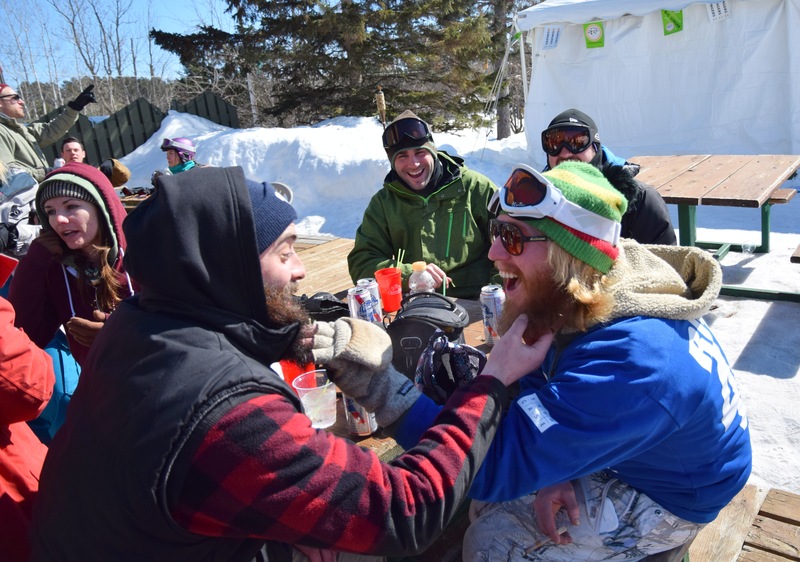 It started out as a family ski trip but the brothers have turned it into a friends vacation with many ingrained traditions. The bus ride down was impressively exhausting and I was glad when we rolled into small-town America at one in the morning. I made a bee-line to our hotel room and politely declined an invitation to continue the party at the hotel pub. The next day we all lumbered back on the bus and headed for the hill at 9 a.m., just early enough to feel unfazed by approaching hangovers. The “mountain” I remembered from previous (younger) ski trips now looked like a gently sloping bluff. 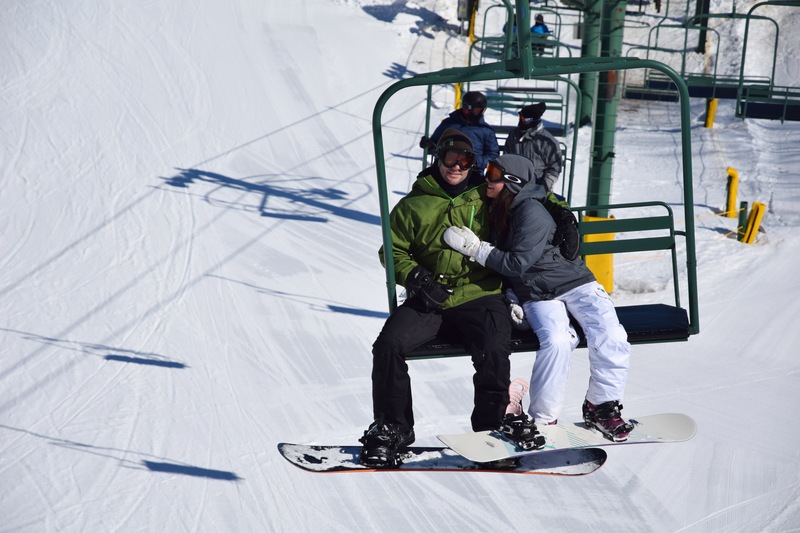 But the snow was in great condition and the weather was absolutely fantastic. Since I had only gone skiing once in the last three years I spent most of the day trying to get my confidence back. I’m happy to report that my ski’s were no longer pizza-ing by the end of the day! 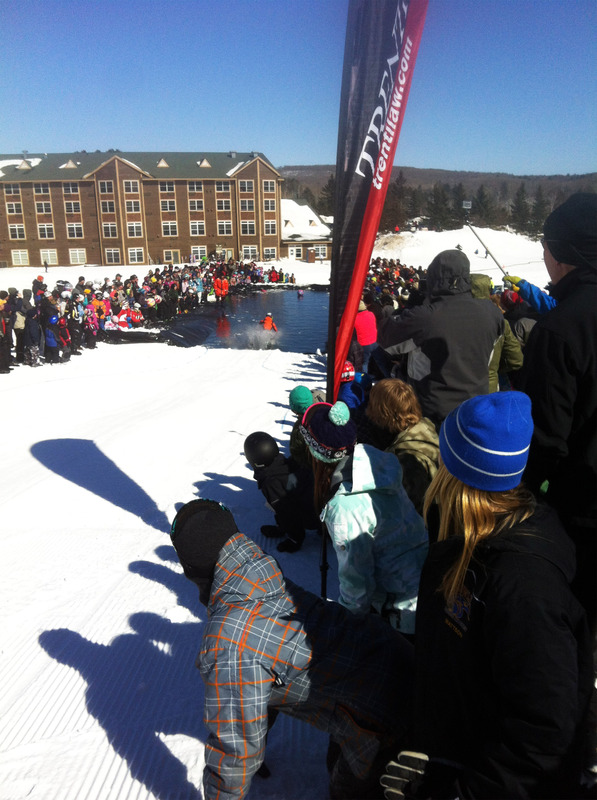 On our last run of the day we stumbled upon the annual slush cup — a competition to see who can bomb down the hill on whatever equipment they want, and make it across a pool of freezing water. It was hilarious, my favourite entrant was a tiny little skier with a green wig poking out under his helmet (unfortunately he didn’t make it all the way). We capped off the day with a dance party on the deck of the chalet and a nap on the bus before arriving back at the hotel for well-deserved soak in the hot tub. Neal and I went for a late dinner at the local sports bar and ended up having a long conversation with a bartender named Angie. She was sweet, crass and 100% American, I loved her. The next day was a repeat of the first, but with less skiing and more dancing. The bus ride back to Canada was significantly tamer and was broken up with a lovely stop at the border at 1 a.m., which involved the border guards searching everyone’s luggage. Hooray for getting to bed at 3 a.m. on a Sunday night before going to school at 8 a.m. on Monday. Regardless of my whining I survived, and you can count me in for next year!